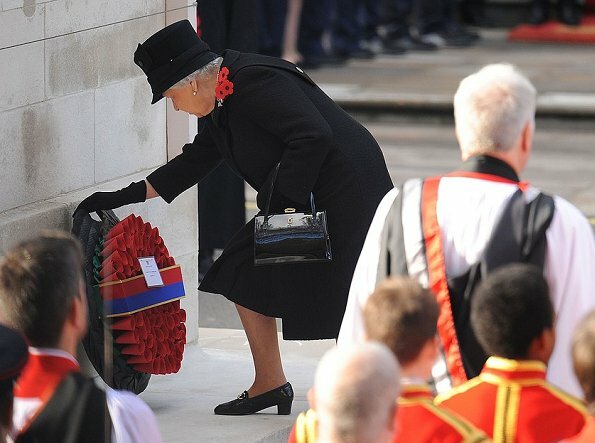 On November 13, 206, Queen Elizabeth, Duchess Catherine of Cambridge, Duchess Camilla of Cornwall and the Countess Sophie of Wessex attended annual Remembrance Sunday Service at the Cenotaph memorial on Whitehall, central London, held in honour of members of the armed forces who have died in major conflicts. Do you mean Catherine? She is not a princess because she was not born Royal but is Duchess of Cambridge. She can be called princess but only if you refer to her unofficially as Princess William of Wales. Sophie is countess of Wessex not Sussex. Sorry mistake from my side Actually meant Duchess of Cambridge. Spelling error S should have been W. Thanking you!!! It's always nice to see the BRF out remembering those who foungh and served to protect their country. But Kate needs honestly needs to lay off the heavy makeup. She looks so old, she never has been a natural beauty, and now that she's getting older she isn't aging well and the makeup isn't doing her any favors. Make not that heavy on photos of the Duchess on other websites. Where she has her eyes closed. The heavy make up comments. 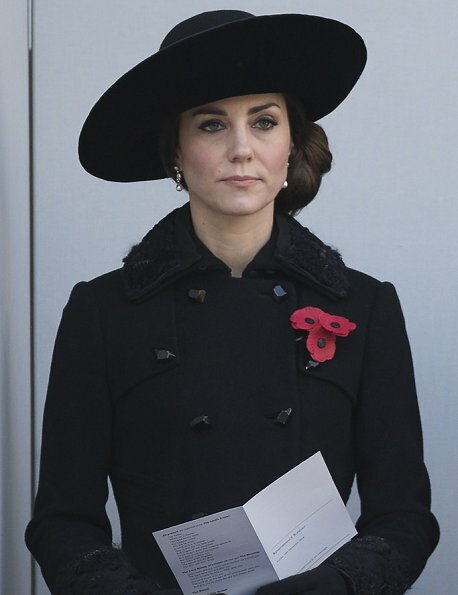 The DUCHESS of Cambridge and the Countess of WESSEX eyeliner is exactly the same. 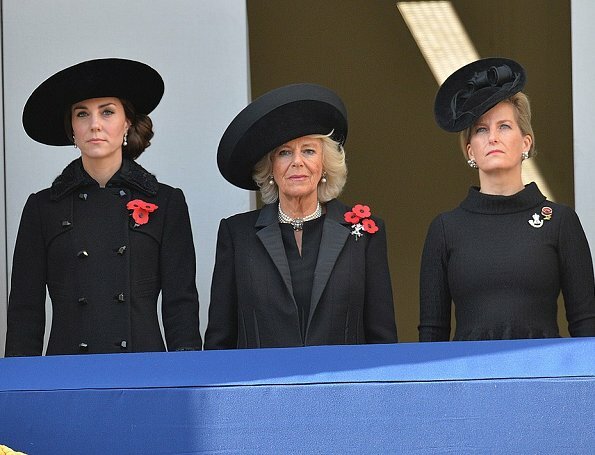 The fourth photograph: The Duchess looks stunning. 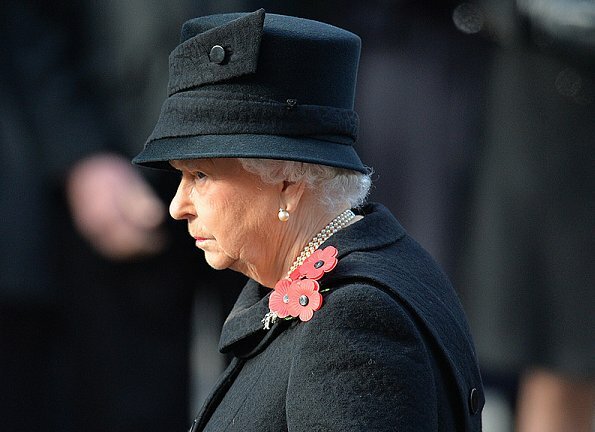 This is the third Remembrance Day that she is wearing the same attire only a new hat. Maybe rather commit on that and her on her excellent taste than always how old she looks. She is not a Duchess in her twenties. Her make-up is done very professionally. It depends on the light and angle a photograph is taken. Anna, this is a blog about FASHION! There's no crime in posting an opinion on Kate's appeareance. We all know exactly why she was there. In your eyes Kate can do no wrong, every comment is a praising review of how stylish and perfect she is. Not everyone agrees with you, and have the right to comment how they see fit. The heavy makeup makes her look old. All three look elegant and are dressed with respect for the event. Thank you to Catherine for getting her hair out of the way. Catherine's earrings are beautiful. Agree with Annonymous about the heavy makeup. Those beautiful earrings on the Duchess of Cambridge are lent to her by the Queen - they are lovely. It is good to see her wear substantial jewels from the family vaults. 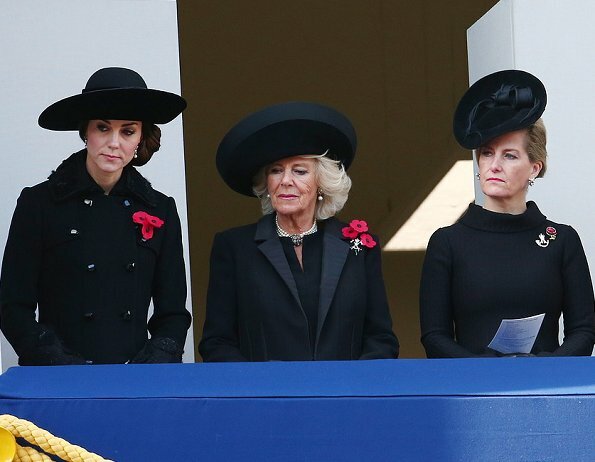 catherine's eyebrow is so wicked here..she's doing Queen Maxima last year, she's in dire need of personality. The whole eye make up of Catherine, eyebrows, eyeliner is too dark and too harsh on her in my opinion and the hair seems always so heavy even in this chignon, it is too big in my eyes. Kate has aged. Why the big bun!! The Duchess of Cambridge has chignon not bun: A chignon (/ʃɪnˈjɒn/; French pronunciation: [ʃiɲɔ̃]) is a popular type of hairstyle. The word "chignon" comes from the French phrase "chignon du cou", which means nape of the neck.